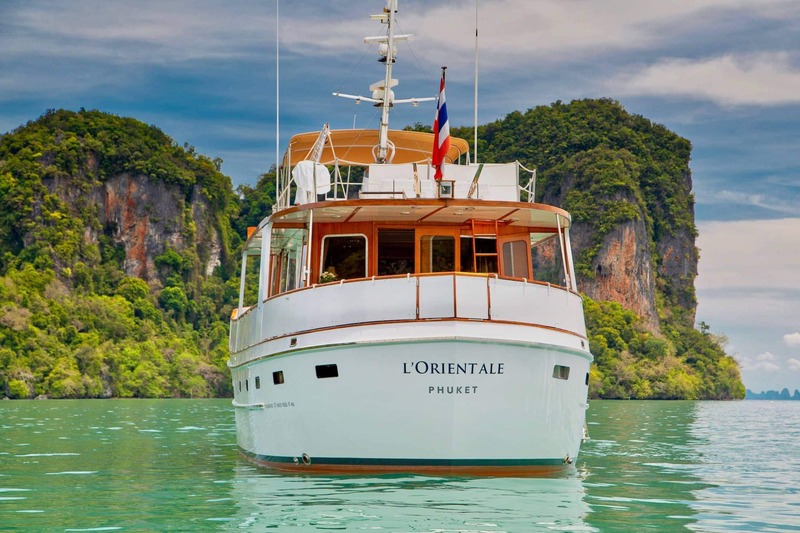 L’ORIENTALE is a beautiful 20.16m (66' 2") classic motor yacht built by Cheoy Lee in 1978 and completely refitted in 2018. 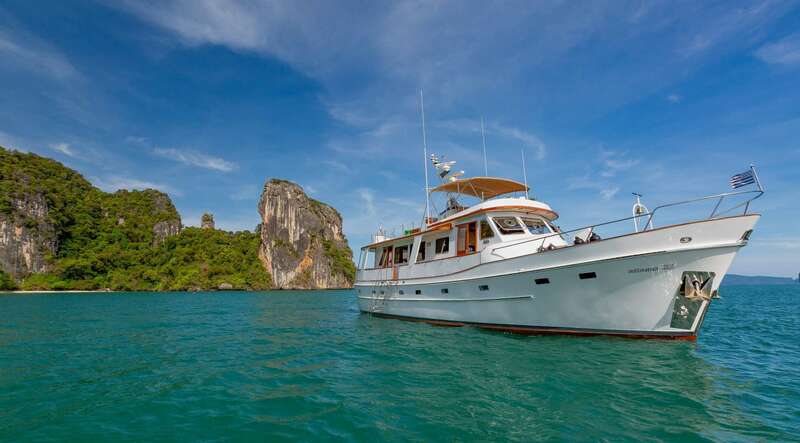 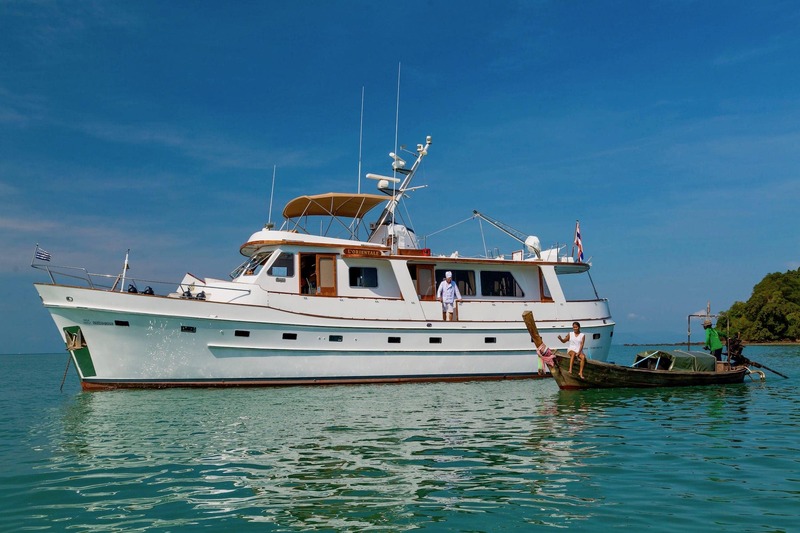 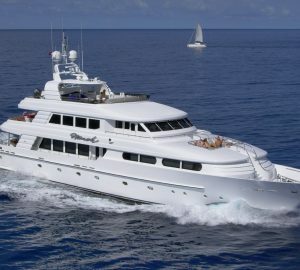 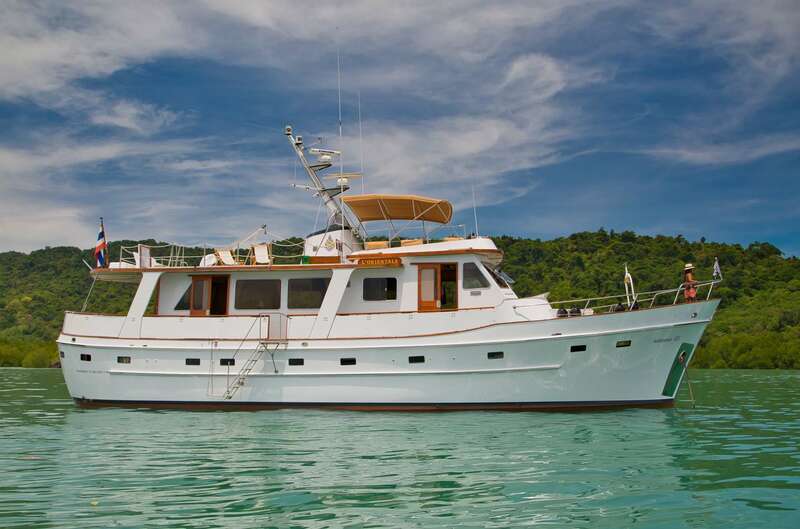 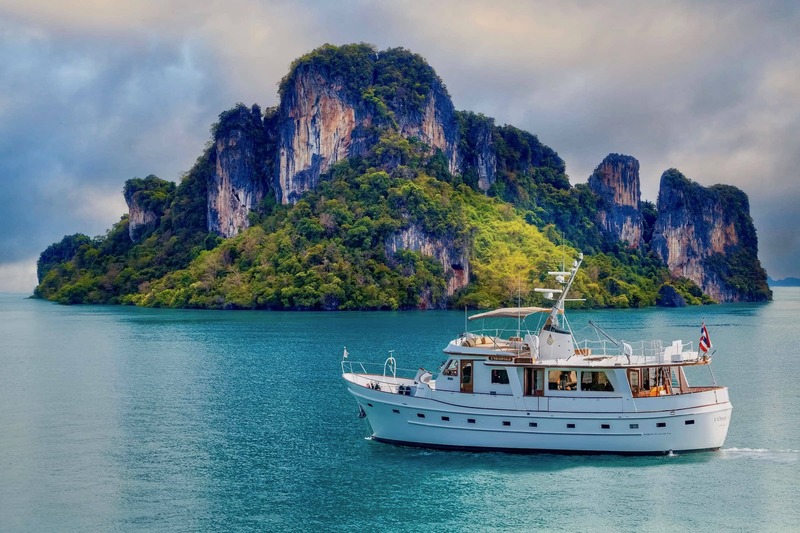 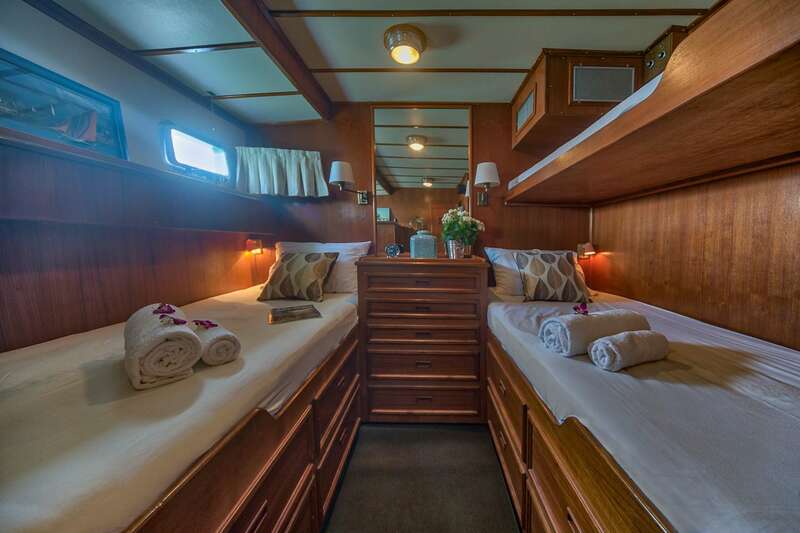 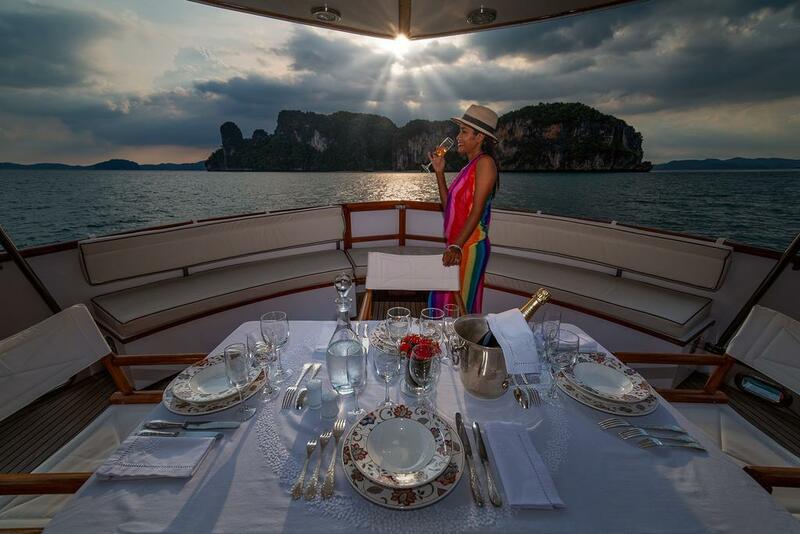 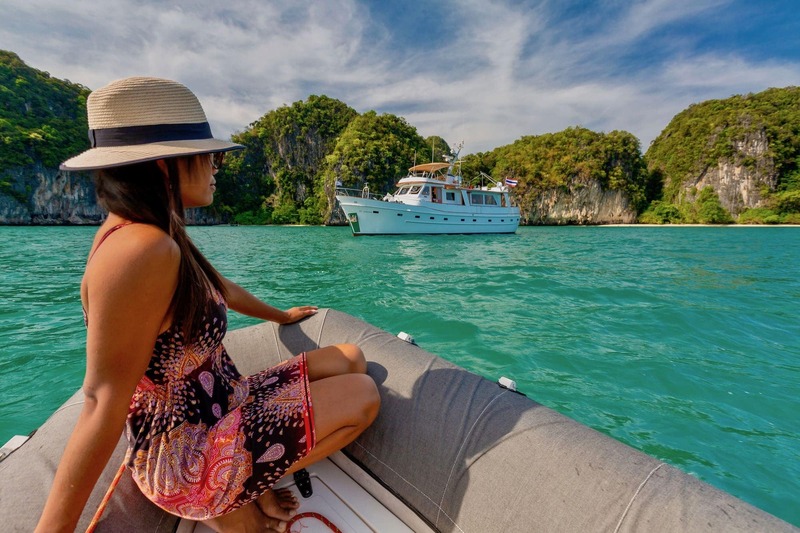 Offering clean, elegant and inviting decor, she is able to host up to 7 charter guests in a three-cabin layout, while her attentive and friendly crew of 5 ensures a relaxing charter vacation and top quality service at all times. 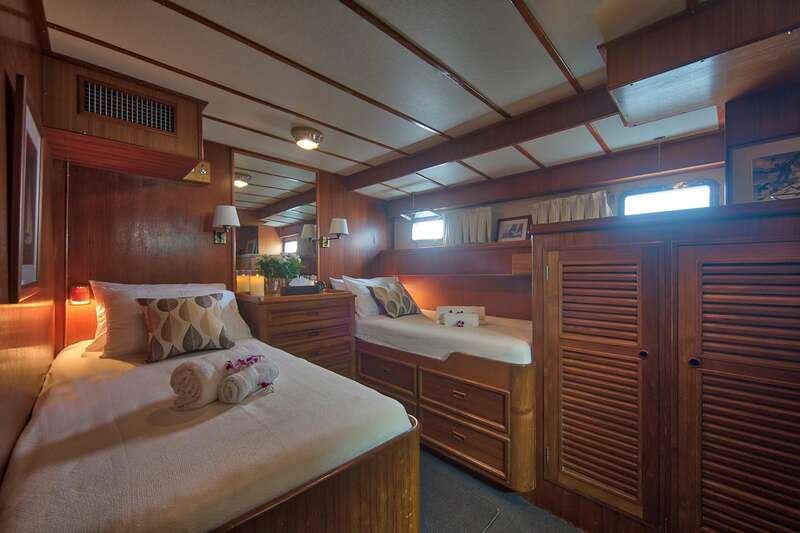 The interior features a timeless design with some rich woods and soft fabrics. 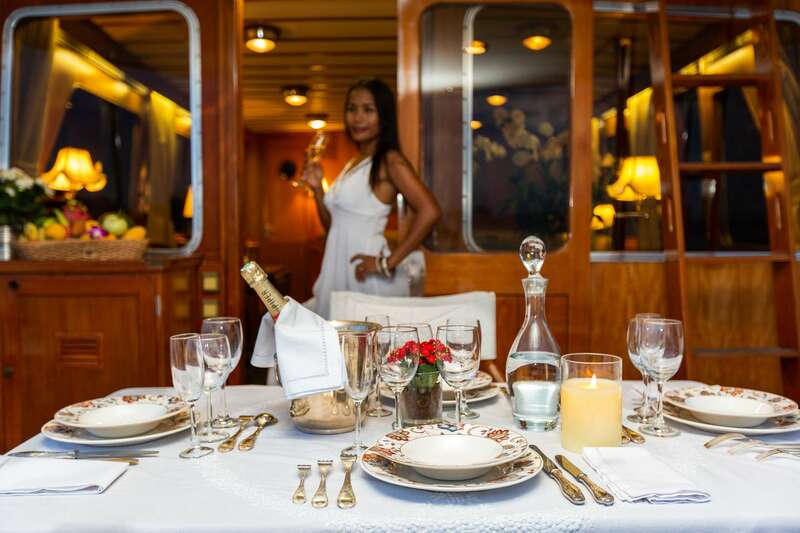 The dining area seats eight guests for relaxed family dinners or special events parties with friends. 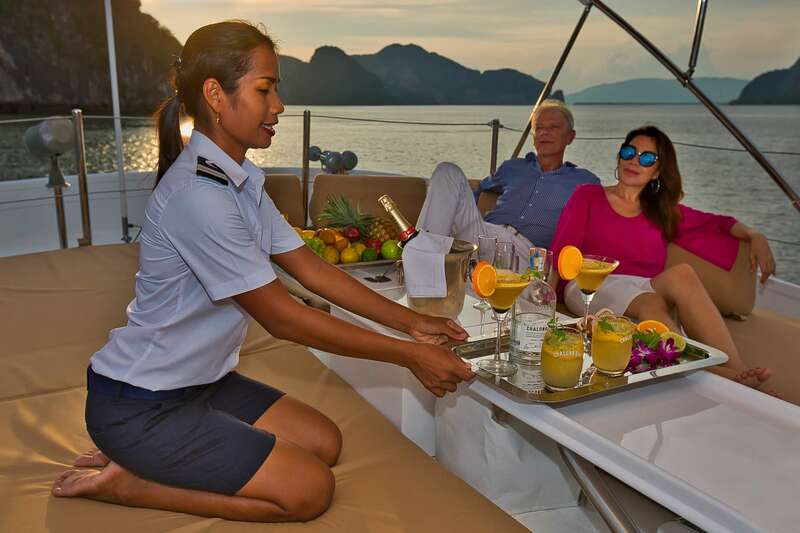 Start the day with breakfast alfresco and spend afternoon worshipping the sun in the shaded sunbathing area on the flybridge. 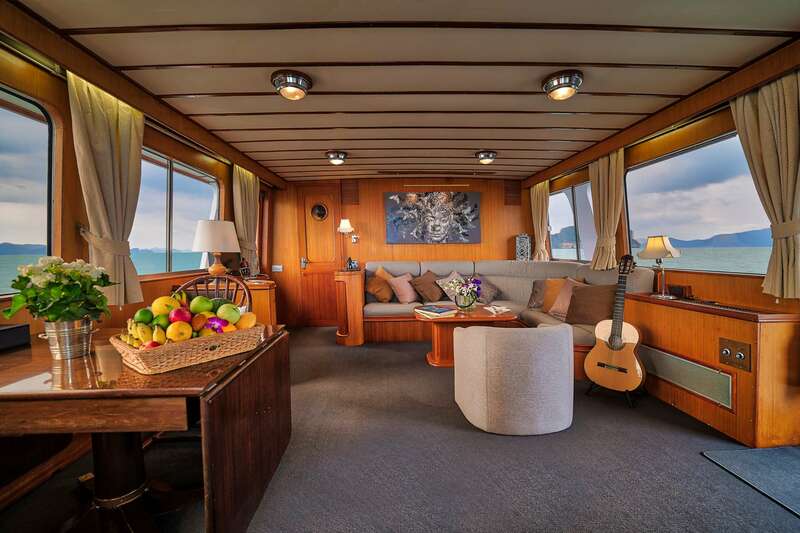 Guests will enjoy the variety of water equipment, including kayaks, donuts, paddle board and fishing equipment. 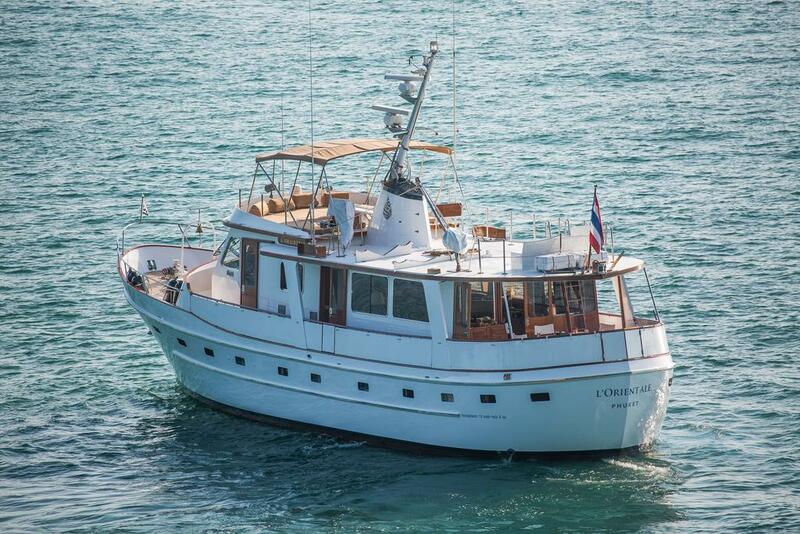 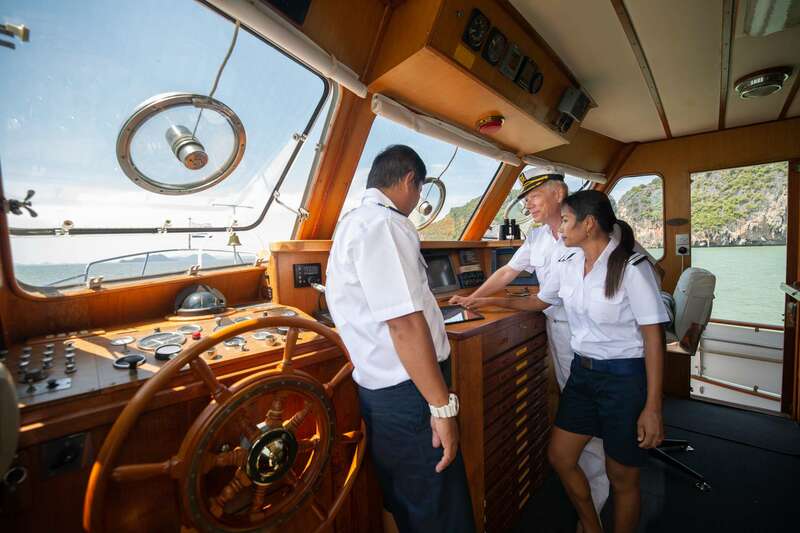 The power comes from two Gardner 180hp engines, which produce the top speed of 11 knots. 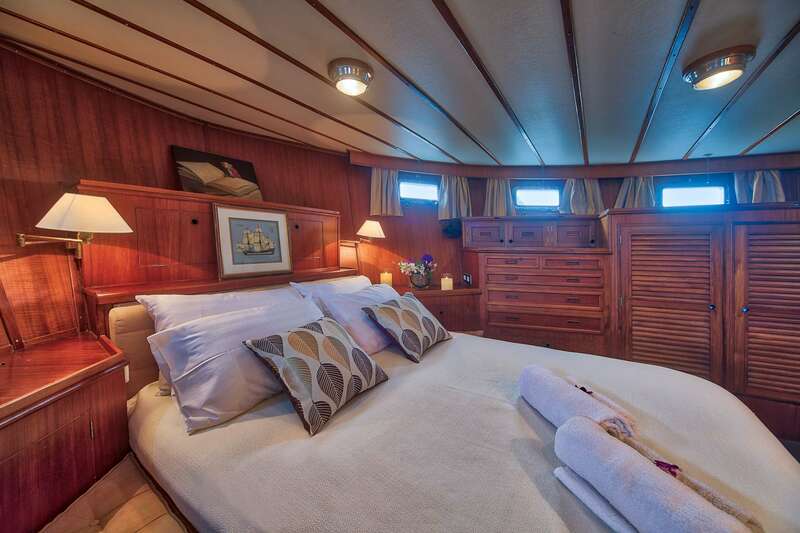 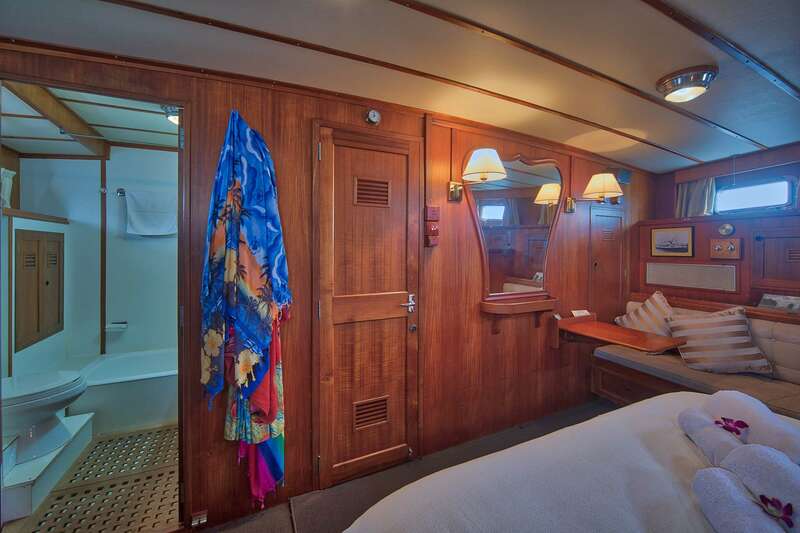 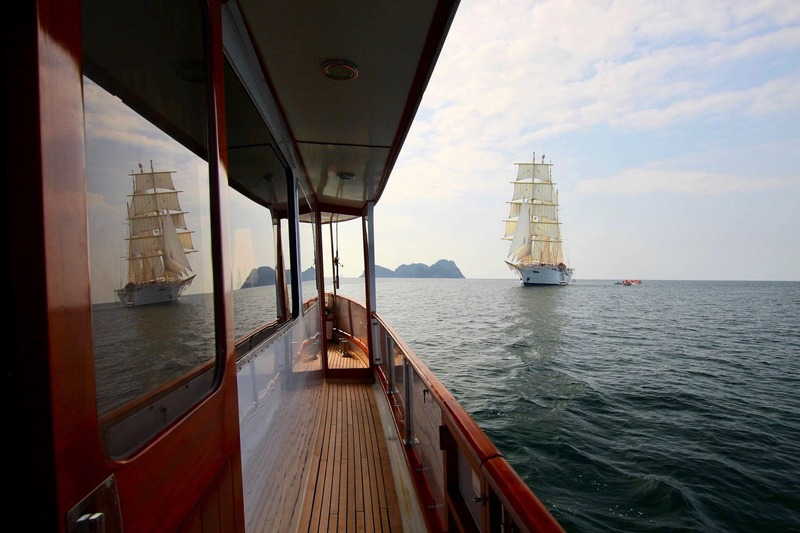 The accommodation includes a lovely master cabin, one twin cabin and one triple cabin.